If you live in Tulsa, and you are in need of window cleaning services, Gleaming Glass is the right choice for you! We have been serving Tulsa with window cleaning services for 6 years now, and have received the 2014, 2015, and 2016 Best Window Cleaning Award for the Tulsa area. We are the most highly reviewed window cleaning company in Tulsa by far. We have more 5 star tulsa window cleaning tulsa reviews than all of our competitors combined, You have nothing to lose by using our window cleaning services. All of these people can’t be wrong. When I say we have more 5 star tulsa window cleaning reviews than all of our competition combined, I mean that. Go on Google right now, search for the key term window cleaning Tulsa. Now scroll down until you see the map. Just under the map there’s a list of all the tulsa window cleaning companies. Scroll down through the list and just look at how many reviews every company has. As of right now march 31st 2017, Gleaming Glass has 14 5-star reviews. The average Tulsa Window Cleaning company has between 2 and 5 reviews, and they’re not even all five stars. They even have quite a few fake tulsa window cleaning reviews. I’ll admit… My mom, sister, and friend have left 5 star ratings for my company, but I left a comment under each of those reviews stating ” full disclosure: This is a family member, or… This is a friend supporting my business.” They also didn’t go as far as to leave a tulsa window cleaning review claiming that they were someone who has used our window cleaning services. I won’t name any names, but there are a couple tulsa window cleaning companies who have paid people on the internet to write a fake tulsa window cleaning reviews for their business. You can usually sniff out these fake tulsa window cleaning reviews by the lack of proper grammar. Their tulsa window cleaning reviews also just don’t sound like a normal thinking, regular human being typed it up. If you get the feeling that they might be an example of fake tulsa window cleaning reviews, you’re probably right. If you want to check to see whether it’s a fake review or not, simply click on the person’s name and take a look at all the other reviews they’ve left. 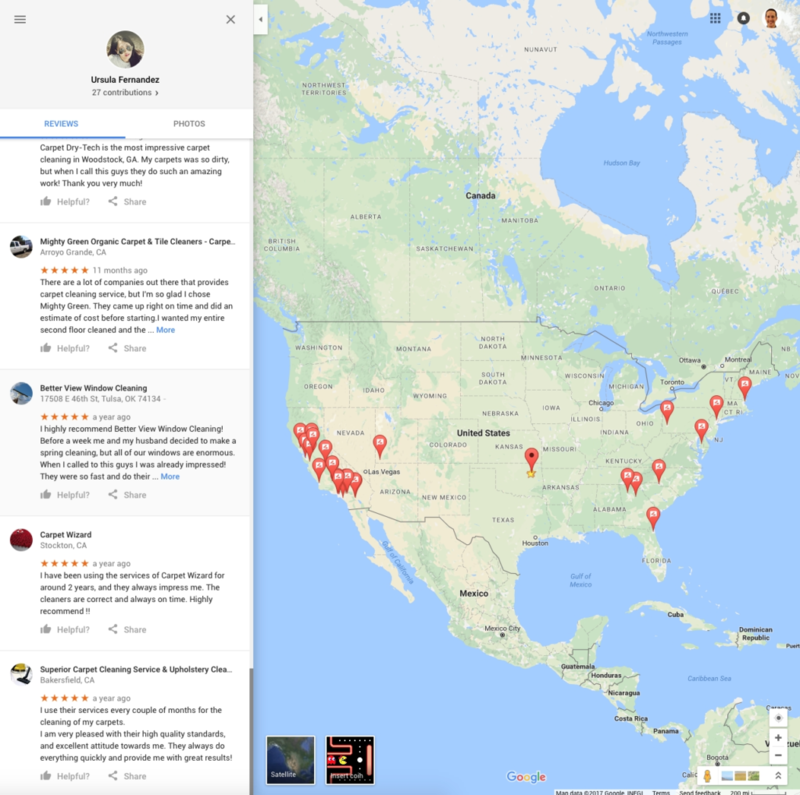 If they have written reviews for companies all over the world, and all over the United States there’s a good chance that person is being paid to write those reviews. This Ursula Fernandez lady has written google reviews for window cleaning, carpet cleaning, house cleaning, and upholstery cleaning companies all over the United States. She wrote reviews for a lot of companies in California some in Utah, oklahoma, florida, New York, georgia, pennsylvania, and new jersey. She looks to be in her late twenties or early thirties, and yet she’s lived in several states, and claims to have hired almost 30 cleaning services in her short life. Seems legit. Not! Don’t fall for these fake tulsa window cleaning reviews.